Auto Transporters Online claims to be "one of the nation's most dependable auto transport companies." They promise visitors that they will have 100% customer satisfaction. They are auto transport brokers that provide free auto transport quotes by filling out an online form. Auto Transporters Online has competitively priced shipping packages, with a positive history of performance. The company is both fully licensed and insured as required by law. Hiring Auto Transporters Online affords customers with a cancellation policy that is an improvement compared to some other car transporters. Customers can cancel their auto transport service at any time without a fee if a carrier has not been dispatched for their order. They also promise that they charge no hidden fees, taxes, deductibles, or surcharges. Finally, Auto Transporters Online only offers door-to-door transport service, which uses just a single driver and no shipping terminals. Like other auto shippers, Auto Transporters Online recommends scheduling auto transport as early as possible. Especially during the busy summer and early winter months, bookings can fill up. Typically, the company quotes 7 to 14 days for a coast-to-coast shipment, while moving up or down a coastline is stated to take 3-5 days after pick-up. (Learn more about vehicle shipment times). Auto Transporters Online has four pricing plans available to choose from for every shipment. Silver Level - an economy level service that saves customers money. Gold Level - the preferred level service for customers with a moderate timeframe in mind. Platinum Level (expedited) - fastest level service that ensures vehicles are shipped in 1-4 days. Platinum Level (enclosed) - both the fastest and safest level service, which is recommended for collector cars and luxury vehicles. With all that Auto Transporters Online has to offer, it's easy to see why they offer a 100% satisfaction guarantee. 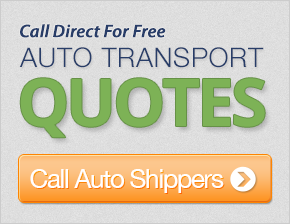 Get a free quote at the top of the page now and save up to 50% on your car shipping rates! I have had some bad experiences with transport companies. This was the most positive experience ever! My rep was extremely helpful. I even booked another one with him to Florida. Thank you for your help. My rep is an excellent sales representative. I am really impressed with his skills and customer service. You have great employees! I will recommend your company to my friends in the near future. Thank you! I was pleased with the service I received from your company. The driver was very nice and delivered my car in a timely manner without incident. Everything went very smoothly and everyone was very helpful. The guys that delivered the car to me were great as well. This is the second time I have used your service, and both have been very positive moves - will use you guys again. The driver was always keeping me up to date on his location and expected time of delivery. I would use your service again. Thanks! This is the second move that I have from the west coast. My experience has been positive. The method of shipment, the courteous driver, and the arrival of my car was perfect. It was a wonderful experience! Thanks! Thanks for the very good service! Our rep has been great to work with. To date, she has been very responsive and helpful. I am looking forward to a great experience when my car is transported later this month. My rep was very professional. I received prompt information via email, and he was always available to take my phone calls. The most important thing is that he promised a time frame for pick-up and delivery, and my son received his truck a day early. I sent you an email after my car arrived at its destination expressing my total satisfaction with the experience. I would recommend you as a shipper to anyone needing a car moved. I could nor get over the fact that my 1930 Chrysler was shipped so quickly and arrived in the same condition it was in when shipped. I used your compnay on recommendations of other car collectors and will surely use you in the future, and I will recommend you to others. Thanks again for a smooth and swift delivery. They were very professional, very helpful, and on time. The service was great. The car arrived several days ahead of schedule. I would recommend you to others. Thank you! Thanks for all your help! See you in the spring. I am a regular customer with you for the past four years. I will continue do business with you, as I have had excellent service.